In India recently the Insolvency & Bankruptcy Code (Amendment) Bill, 2017 has been passed to deal with the liquidation of companies in a speedy manner in case of default or if the Company voluntary goes into liquidation. Now these cases are disposed off in front of the National Company Law Tribunal (NCLT) unlike the early process of going to the Civil Courts for the same and waiting in the queue. The Corporate creditors are also eligible to sue their debtors for debt recovery under the IBC by suing their borrowers/debtors for liquidation of their respective company. 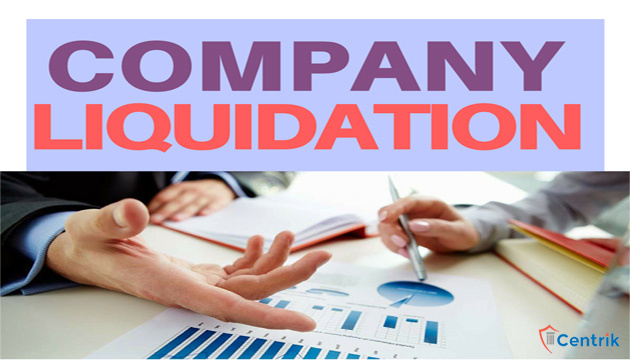 In this article we will discuss about Compulsory and Voluntary Liquidation and how it is helpful for the Corporate Creditor against their debtor/s. What is Compulsory Liquidation and what happens in it? After the compulsory liquidation is underway the process of selling the company’s assets begins, and all litigation involving the company usually ceases. In other words, any legal actions taken by creditors are considered void once the liquidation has begun. What is Voluntary Liquidation and what happens in it? The process of voluntary liquidation is generally less stressful because the entire procedure is well-planned and the company directors have access to the assistance and guidance of an insolvency practitioner throughout. As long as the necessary evidence/reasoning can be demonstrated to show the liquidation will provide the most appropriate outcome for the company’s creditors, then approaching a liquidator to wind up the company is pretty straightforward. If, however the insolvency practioner finds that the company’s directors are wishing to liquidate their company despite there being more suitable solutions available, they may refuse to accept the appointment, in which case the insolvency practitioner would suggest more appropriate options. How a Corporate Creditor can approach NCLT under Insolvency Law for compulsory liquidation? Corporate creditor has the right to approach NCLT against their debtors/borrowers in a lawful manner under the Insolvency & Bankruptcy Code for compulsory liquidation in case of default to recover their bad debts. If the recovery procedures fail even after accruing an order from the court, then the best remedy is to approach the appropriate tribunal for liquidation of the debtor’s company. The method for the same have been elaborately discussed in our previous blogs. Kindly refer to the same or contact us for better awareness. It has been found that the economy is still struggling hard with stressed assets. Not just the Banks and NBFCs are under the radar of RBI, even the Corporate Entities are listed. The Corporate Bodies are after their debtors now to recover their bad debts and the amendment in the IBC has made it easier and speedier to recover their monies back and reinstate it to their own business. It is important to be aware of your rights and persuade them accordingly.